We’ll be in two places at once next week: At the National Order of the Arrow Conference (NOAC) and the Outdoor Retailer gear show. The 2015 World Scout Jamboree is happening now, with 33,000 Scouts and Scouters from around the world. But you don’t have to be in Japan to join the fun. Robert Pershing Wadlow, at 8-foot-11 the tallest man ever, was a Boy Scout. At age 13, he was 7-foot-4 — much taller than anyone else in his troop. Make sure your Boy Scout troop library is fully stocked with these Scouting essentials. They’ll help make your troop the best it can be. This week (July 27 to Aug. 2, 2015) is Pool Safely Pledge Week, presented by the U.S. Consumer Product Safety Commission. 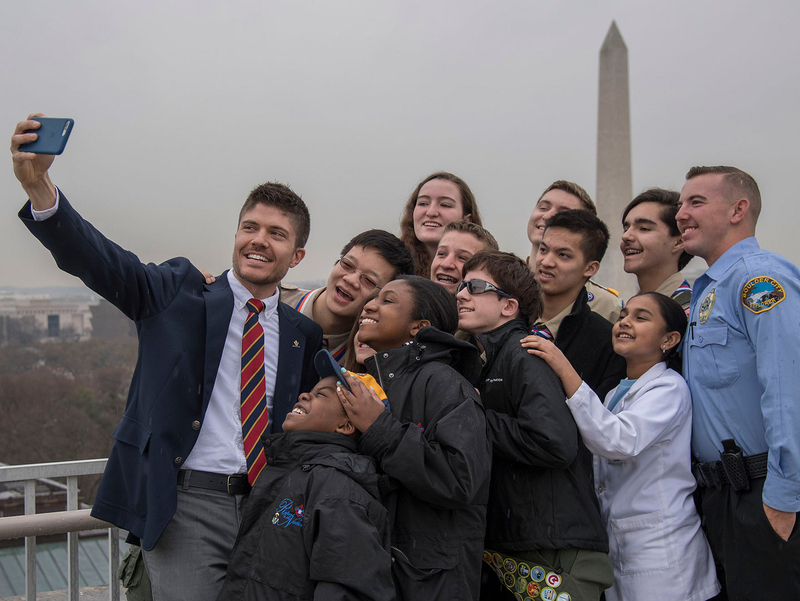 The Boy Scouts of America’s National Executive Board ratified a resolution that removes the national restriction on openly gay adult leaders and employees. This week’s 12-project collection includes a restored historic caboose, a stunning commemorative archway and a useful physical therapy walking course. Sean Fay Wolfe was just 16 when he self-published “Minecraft: Quest for Justice.” Now 17, this Eagle Scout author recently sold the rights to HarperCollins. Vol. 1 of the “Troop Leader Guidebook” — the top resource for Scoutmasters, assistant Scoutmasters, committee members and involved parents — is available. Katie Hancock, a Venturer from Lubbock, Texas, will move to Colorado to attend school and train and compete to be a world-class snowboarder.